Posted on October 30, 2007 by MASA. Categories: Gaming, Site, SSBB, Wii. 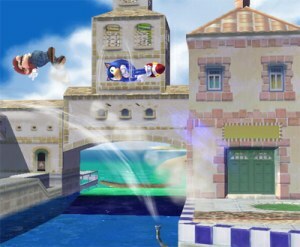 Yesterday, Nintendo announced that players will be able to create their own maps for Super Smash Bros Brawl. Yep, that’s right. Custom Maps. That’s pretty sweet. You will be able to create your own maps, with music and custom backgrounds, etc. When you are done, you can play it yourself and save it or upload it to Nintendo to be featured some day. Nintendo is also experimenting with the idea of having the daily custom map that will be able to be downloaded onto your machine. Awesome, eh? They have yet to really work out the details whether it will be a one time download for only one day and then it will go away, or start saving each day onto your Wii. We hope to hear more as this develops. On a side note, sorry for the really long time between postings. I have been busy for the last few weeks and things are winding down for awhile. Comments Off on Brawl Custom Maps! Posted on October 11, 2007 by MASA. Sonic’s Moves list has been revealed to the general public. Most of his moves are what I predicted yesterday they would be. 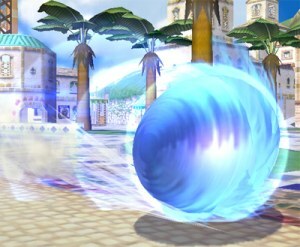 His side special move allows him to do a spin dash like move. Really it’s like the homing attack, as it can be used in the air and on the ground as well. 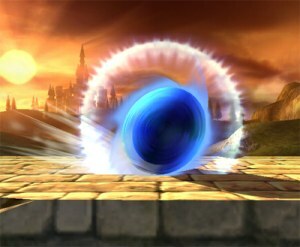 Pressing and holding the special button and down will allow you to spin charge, which you can do with spin dish, it’s probably best if you charge before you actually attack. The last attack is a bit odd. I originally thought it would be the blue tornado. But instead you do a spring jump. 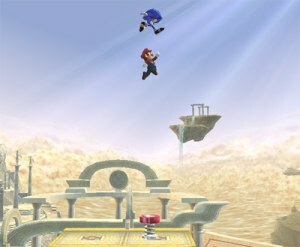 It actually creates a spring underneath Sonic, who can bounce on it and fly really high. The downside is that the spring stays there until you land. Posted on October 10, 2007 by MASA. The Brawl website made a small change recently, and some smart users might notice that it no longer displays the end of this year. It now displays TBD, giving us the impression it’s not gonna come out until after 2007. Most likely it will be March of 2008 or something like that. Comments Off on Brawl Delayed?! 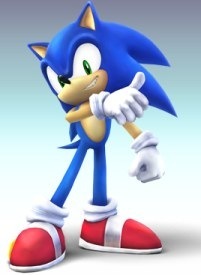 As confirmed today by Masahiro Sakurai, Super Smash Bros. Brawl finally has that SEGA character almost everyone wants. Falco. Wait, Sonic. 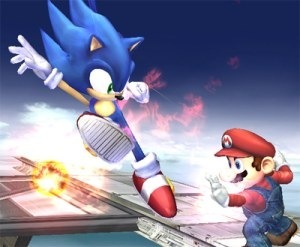 Sonic is now a playable character in Super Smash Bros. Brawl. Nintendo has once again, sold their popular game out to some other company, thus adding another non-Nintendo entity to the mix (meaning a character that has been on systems other than Nintendo ones [and Link and Zelda and Ganondorf don’t count. That was a crappy system anyway.]). While his moves have not been revealed, it’s most likely that it’s pretty much going to be kicks and stuff. His power attacks are most likely going to be spin moves and blue tornado (as seen in Sonic Heroes). His smash move, will most likely involve either the chaos emerald, be super sonic (gold sonic) or involve a fury of little chaos who run all over everyone. It’s probably going to be super sonic, if SEGA gets a say in it. Sonic fans, you may now rejoice. Posted on August 30, 2007 by MASA. 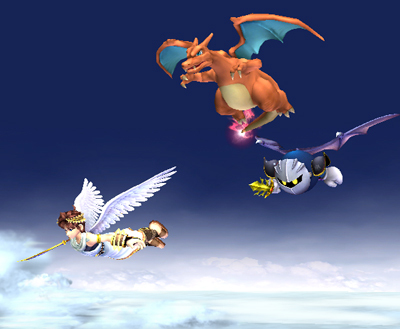 Apparently, Meta Knight, Charzard and Pit can all fly (more like glide) as seen in this picture to the right. The newest update tells us to jump in mid air using one of the characters above. After doing so, you hold the jump button (or move the control stick back and forward) and you will be able to glide! Then you can control your movements the way you would control a plane or something. Move the stick back to fly up and the control stick forward to dive down. The downside to gliding (like with most Super Smash Bros. Brawl updates, there is some sort of downside to the move) is that you can’t change direction once you start flying. Plus you are still vulnerable when flying, so don’t think flying all the way to the top of the level will work the best, as stalling is not your friend. 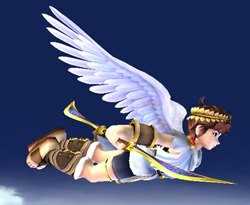 B) It would work great when the devil guy is the selected “assist” trophy, allowing you to be able to fly the the side he points to faster. 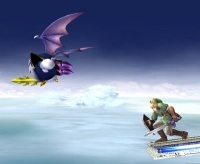 And that’s all for today’s Super Smash Bros. Brawl update.